@Digger, it will be like handling Terminus Giantcus, but a bit larger and heavier. Hell no. As Digger said, that would be terrifying to handle. Each Predacon would cost a small fortune. I’d also rather have Predacons that are smaller, more Optimus sized. I have the Fanstoys Dinobots, so the Predacons would be larger than the Dinobots. I’ll stick with the Jinbao KO OS Predacons for now. This ^ that thing could classify as a lethal weapon with its size, weight and pointy edges. Come on people, am I the only one that wants Gigapower sized Predacons? Imagine the heft, gerth, size of such a piece. A 50lbs, 3 foot Predaking! What if it is pants forming and they just designed the pants to look exactly like razor claw? The details are so identical it’s blatant. Not to mention that there seems to be nowhere else that the legs would be. Plus the image appears to be to scale since the thickness appears identical. I mean there might be more than one person. But I sure as hell don’t want that. A 50lb 3 foot combiner sounds terrifying to handle. It’s not confirmed but we’ve figured it out. What if they're all the size of Silverbolt? Divebomb's wings are clearly a backpack to help make the front to back width more like the other Zeta's. That was the exact point I made in my previous post lol. Maybe an oversized divebomb is what's used to bulk out the back and torso. Give me a 50+cm combiner that has stability and poses like a champ and I'll be your friend for life. I don't care if there is parts forming. Here is a secret that some of you don't know, magic does not exist. But physics is very real. I never said there was a problem with the core bots being larger. I'm speculating how they will achieve the desired combiner mass without the use of parts forming, since clearly additional pieces were needed even with the larger core bots. Sorry, late to the party but, did we get confirmation that the torso and thighs are all razorclaw? And not zetas traditional parts forming? I'd love that, but I don't think it's going to happen, unless they change to pants. They didn’t deliver this with any of their first three combiners (counting Constructor) so I wouldn’t hold my breath on this one. But hey, looks like they’re shaking things up a bit on Beastking so anything’s possible. Ηιs stability problems come from the locking mechanisms of his legs, which are totally non existent….I have no idea where this talk about that the folding of Onslaught comes from. If that was the case Superion would suffer as well. And he doesnt. Again I cant see where the problem is,in the fact that Onslaught and Silverbolt are larger than the rest? That was the thing both in the toon, and if you want to take their altmodes into account (though Onslaughts is non existent). He's top heavy with a lot of weight in his back. And a lot of that is because they took a toy bigger than MP-10 and designed it to fold up into a cube with half of it hanging out the back, something they did in service of pantsforming. So I should praise partforming for including a measure to half-compensate for a problem it caused? And just because a combiner has pants doesn't magically make it more stable. That's my point, and you're not negating it. Solid ratchets without a lot of play between clicks and a low center of mass over the hips and ankles makes a combiner more stable, and you don't need pants for that. Again, I'm pro-pantsforming. I want Zeta to do Raiden and Beastking with pants. I think pantsforming does bring some definite positives to the table like additional combined mode height without having ridiculously huge team members and better combined-mode proportions. Guaranteed stability just isn't one them. There have been some interesting points being raised about the scale of Razorclaw, and how outrageously over-sized he'd need to be to create the same scaled combiner torso, existing in their current 20" line. Just some speculation here, checking the current renders we can see that Divebomb's tail wings are part of the combiner back. What if Divebomb is actually over-sized as well (within reason), and a chunk of his figure's mass is actually used to bulk out the combiner torso? They could literally be taking a giant chunk of a backpack, winged mass, and shoving it onto the back of Razorclaw to fill him out. It does appear that Razorclaw's hips and thighs are used in the combined mode, so what if Razorclaw extends vertically to give the combiner height needed? We've seen this approach in other combiner designs like UT Abominus after all. The additional size then needed for the chest would be provided by Divebomb. It'd almost be like using the bulk of a six figure combiner a la Devastator, essentially two figures composing the majority of the torso. Just something to think about. 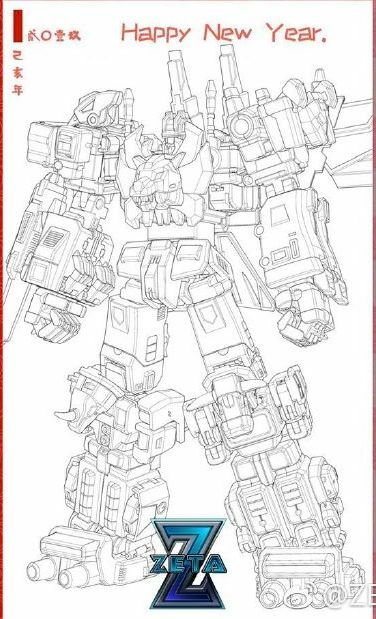 Clearly just speculation, but without parts-forming, how else are they going to achieve the overall similar mass with out an absurdly large torso bot? Clearly their Silverbolt and Onslaught, both which are already huge, would not be able to provide the current scale and mass unassisted. I want to get a Combiner for sure. So Devastator is one of the best? Devastator is probably the best one. Superion is on a similar level of quality. Bruticus is just under them. I think it’s a great choice to get him. But it’d be best to get one of the later versions like the box set or yellow versions. Since there were some tolerance issues sorted on those. If no pants, then Gigapower Dino sized Zeta's Predacons must be. 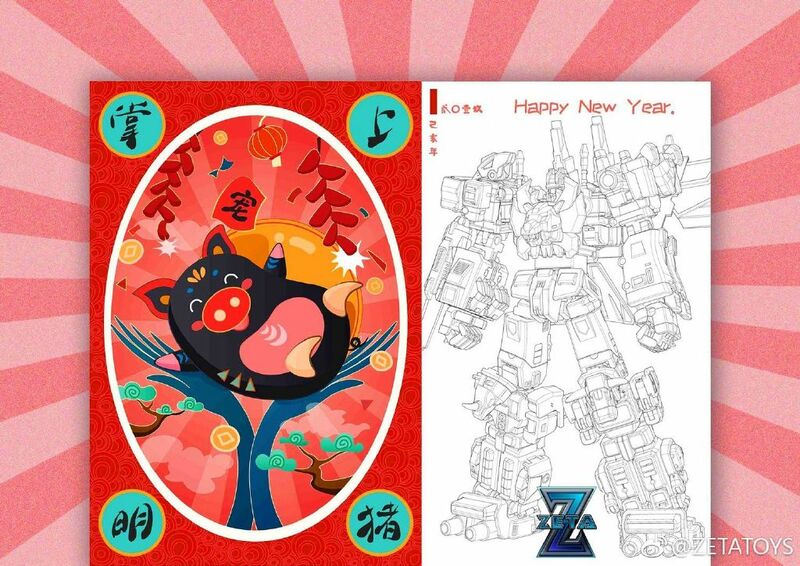 We need a new big hulking set and the Predacons or Terrocons fit the bill, and Zeta's making Predacons.